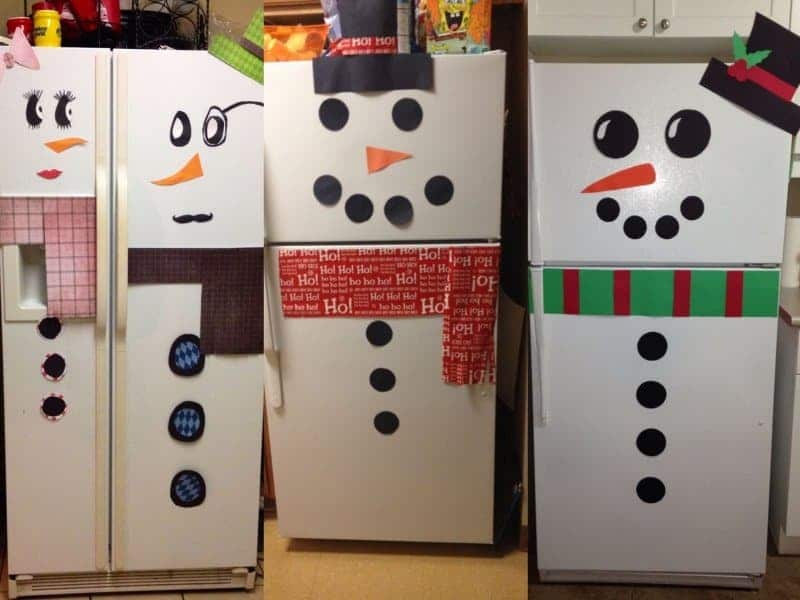 Creating a Snowman Fridge is very easy, and doesn’t require a lot of work to finish the project. The kids will enjoy seeing this in the kitchen. 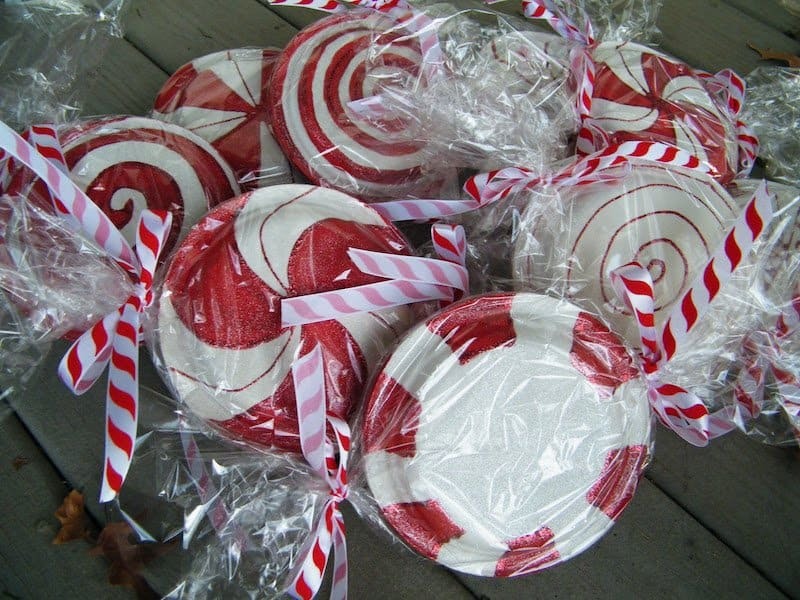 Takes some styrofoam paper plates and paint them to look like giant peppermints. You can even wrap them up in colorful plastic bags for an extra pizzazz. 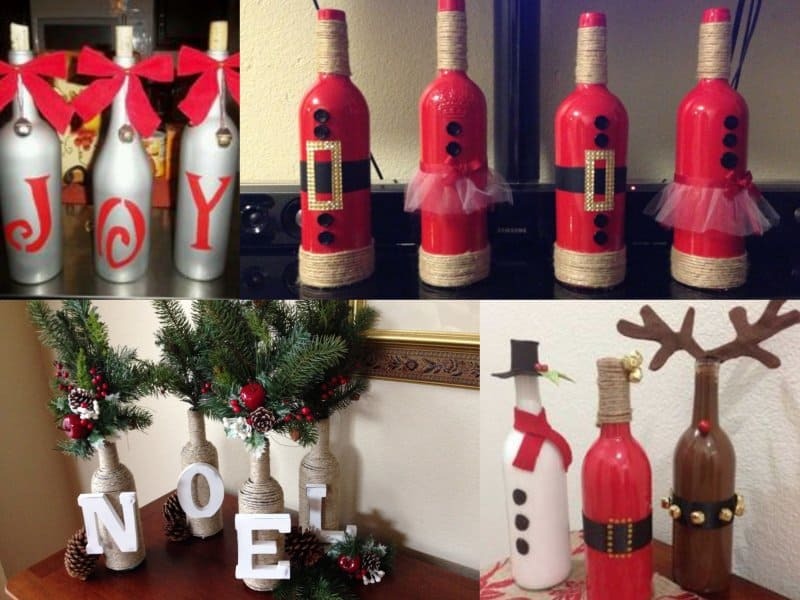 You can make your own art/gift decorations by taking a blank canvas and tying some colorful ribbon around it. 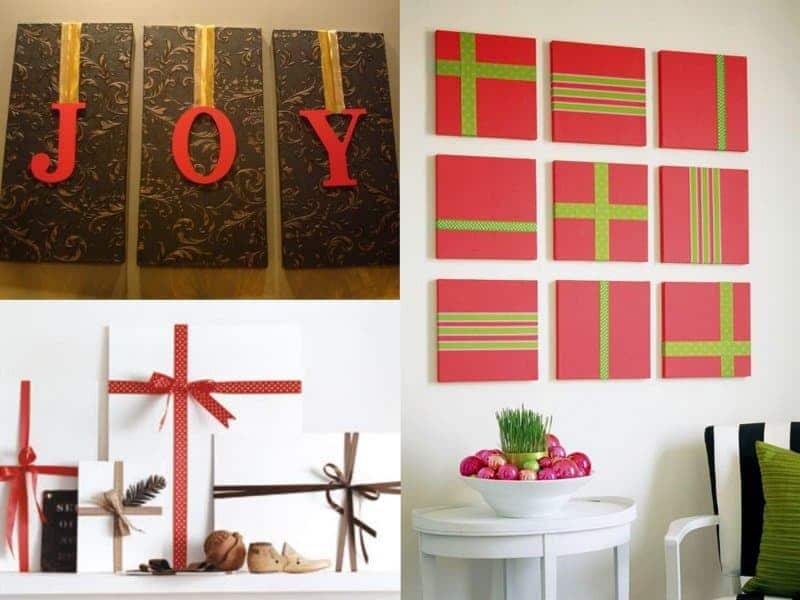 This will give a festive and holiday look around your home. This is very simple. Create a candy bowl filled with some of your favorite holiday treats. The guests at your house will love this. 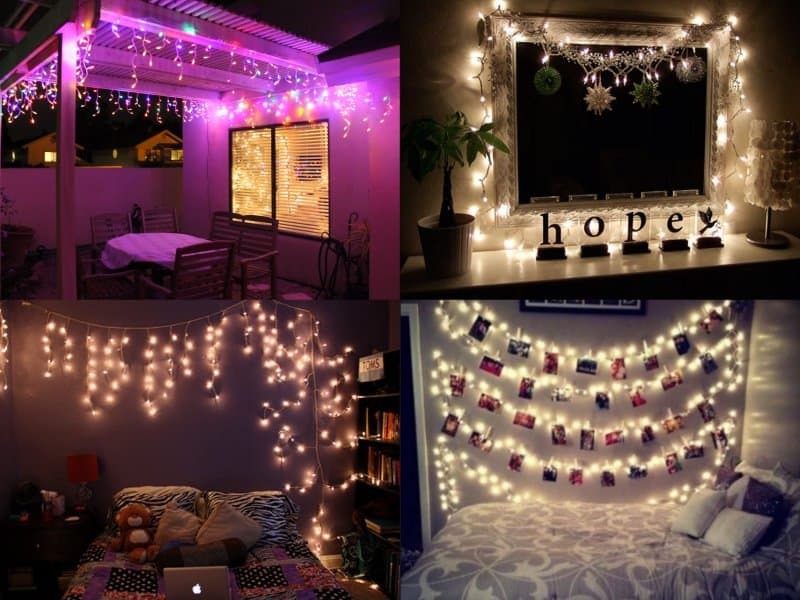 Hang Christmas lights around the house to really deck the halls. The room will be filled with the colorful, holiday spirit. 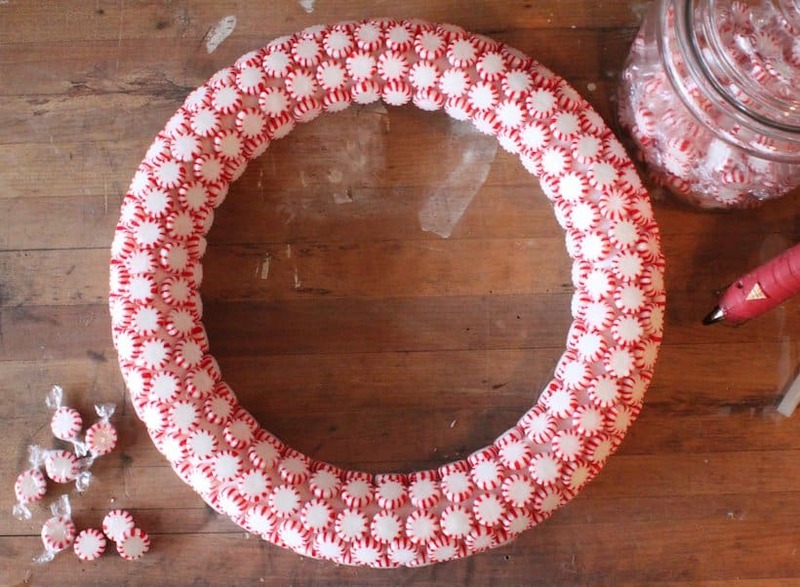 Create a peppermint wreath by gluing peppermints together. 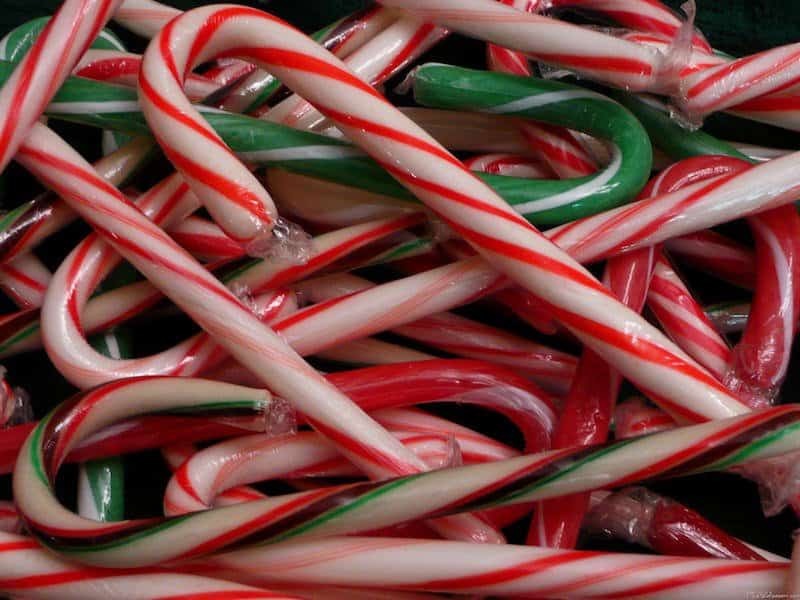 Once the holidays are over, this also becomes an edible treat. 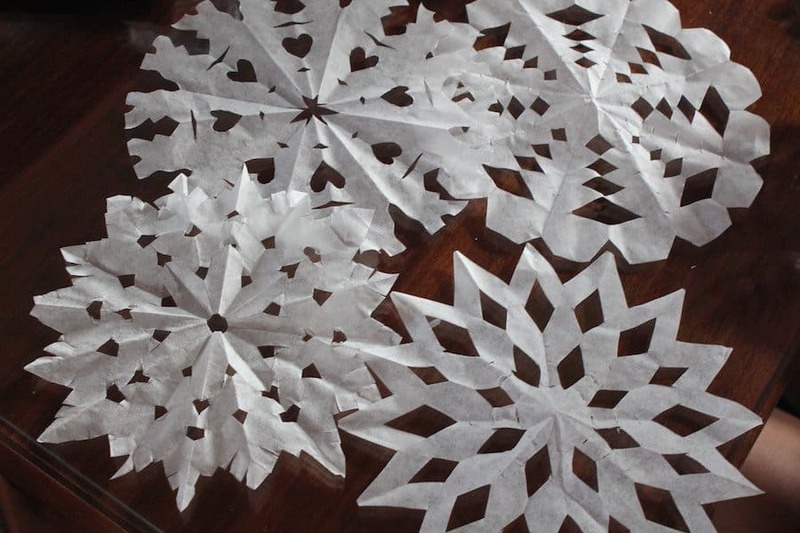 Cut up some coffee filters to make them look like snowflakes. 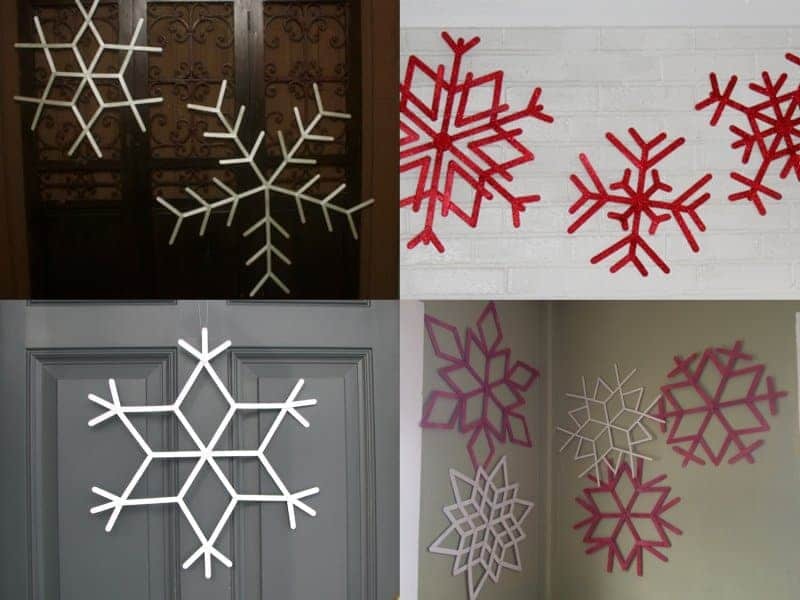 Once you’re done, hang them around your house to create a winter wonderland. 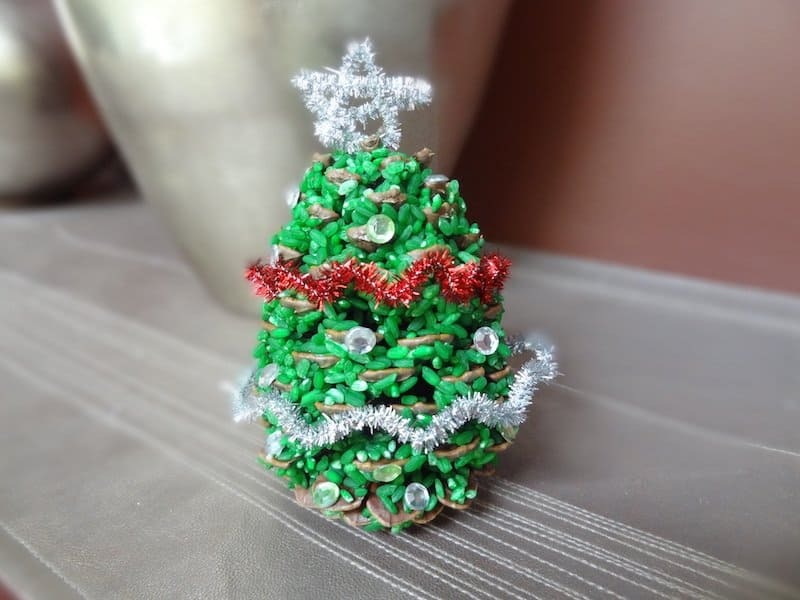 Take a pinecone and paint it to look just like a Christmas tree. You can even add a colorful star to the top of it.